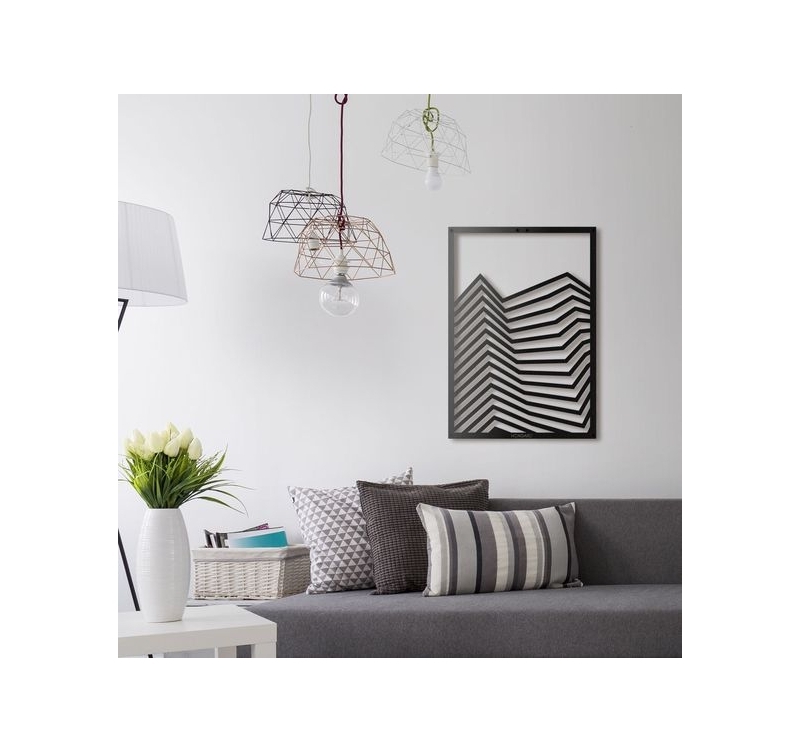 Abstract art on a metal wall decoration to bring modernity to your interior. 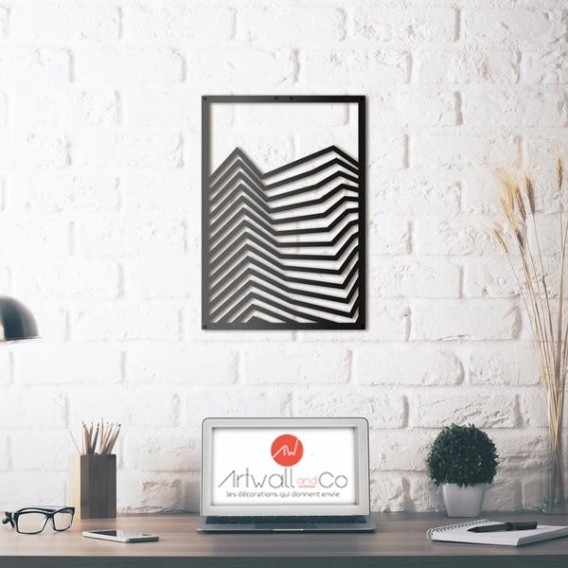 Decorate with subtlety and elegance thanks to a metal design sculpture purely imagined by the creators of Artwall and Co. The dimensions of this metal wall decor are 50 x 70 cm. Modern pictorial art depicted on a metal wall decoration is an ideal artistic ambivalence to adorn the walls of a living room or dining room. 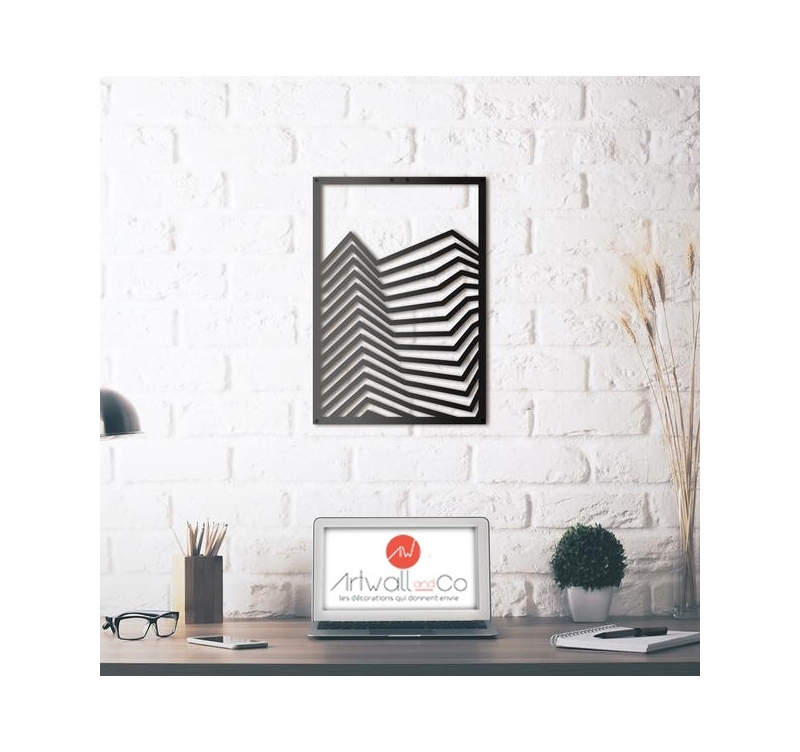 Here we have overlapping lines that follow a similar path, letting the observer drift into the creative universe of the artists of Artwall and co. A semblance of perspective combined with a game of abstraction and graphical parallelism contained in a rectangular frame. A perfect wall decoration to express both the subtleties of art and craftsmanship, since this accessory is entirely handmade. A metal wall decoration easy to implement thanks to a fixing system entirely dedicated to the interior decoration.